Pacific Hydraulics stocks a wide range of hydraulic motors in our branches across the country, for high-speed, low-torque to high-torque, low-speed requirements and everything in between. 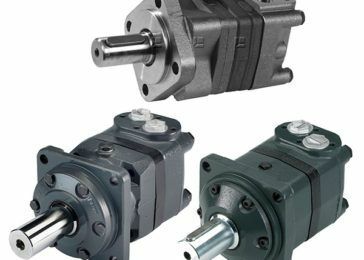 We can source almost any hydraulic motor for your requirements, from Danfoss’ range of bent-axis motors and hydrostatics, piston and vane motors from Bosch Rexroth, to orbital motors from Parker. These are just a few of the world class hydraulic brands that we can source or stock, others include Reggiana Riduttori, Eaton Vickers and Char-Lynn, Staffa and many more. As Australia’s No. 1 Danfoss service and supply centre, we are proud to offer the entire Danfoss range of high quality hydraulic motors to Australian industries, OEMs and end users. Offering comprehensive technical advice on Danfoss motor selection, and after-sales service and support, trust Pacific Hydraulics for all your Danfoss sales, service and technical support requirements. Our expertise in hydrostatic and mobile hydraulics means that we understand the unique requirements of mobile hydraulic applications. If you are looking for a hydraulic motor for a mobile application, visit our Hydrostatics product page for more on our offering of hydrostatic pumps and motors.